Optical Effects Vision Center offers a wide selection of contact lenses including disposable soft contact, bifocal/multifocal, toric, and colored lenses. Our practice ensures that we carry all major brands and varieties of contacts, including daily, weekly or monthly disposables, or conventional (vial) lenses. Whether you’re looking for Acuvue 1-Day Moist or Oasys or want a contact lens to treat astigmatism, schedule a contact lens evaluation with Dr. Wlodek to discuss what option is best for your visual needs. Dr. Wlodek will determine the best fitting lens based on the combination of your lifestyle needs and the shape and health of your eye. In most cases, you’ll have the opportunity to try lenses on the same day as your exam. You can even go home with a few samples before making a final decision. We follow up the initial fitting and then make any necessary changes in fit or materials to get you the best possible fit. We teach all our patients proper contact lens care and also possible consequences if proper care is not taken. Then we continue with long-term follow-up to monitor the condition of the lenses and to ensure that proper hygiene is being maintained. Dr. Wlodek fits patients with multifocal contact lenses who want an alternative to their progressives. 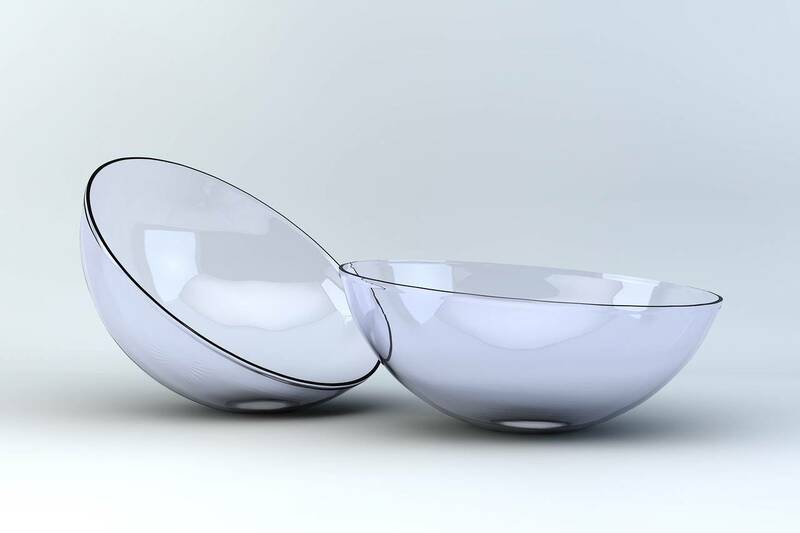 Disposable contact lenses are extremely popular and are generally considered to be far superior in comfort and wearability. We offer a range of effective contact lense solutions to correct your presbyopia and give you sharp, comfortable vision.